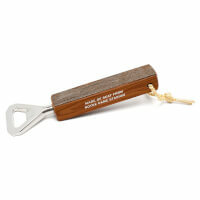 Thirsty scholars can hold the seats from their alma matter's football stadium in the palm of their hands while cracking open a frosty brew thanks to this one-of-a-kind bottle opener. Each opener is officially licensed by its university and engraved with the names of the school and venue as well as the time it was originally in use. Made in Berkeley, California with opener hardware from China. 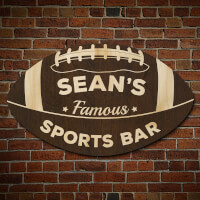 "Football Fan Personalized Sports Bar Sign..
Personalized Dallas Cowboys NFL Football Travel.. 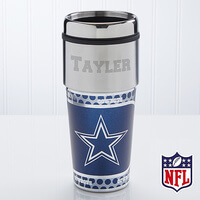 They cannot fumble the ball with our NFL Dallas Cowboys Personalized Travel Mug. Whether it is with them in their car or at their desk at work, let them enjoy coffee, tea or their favorite drink in football-style. A fun yet practical personalized gift perfect for commuting and car pools ... great for co-workers and students too. You cannot fumble the ball with our Touch Down! Personalized Travel Mug. 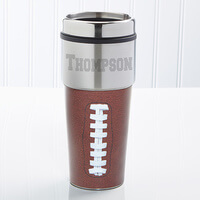 Whether it is with you in your car or at your desk at work, enjoy your coffee, tea or favorite drink in football-style. A fun yet practical personalized gift perfect for commuting and car pools... great for co-workers and students too. Why should all the fun stop when the sun goes down? LED lights illuminate the Nightball, so you can keep the football game going after dark. 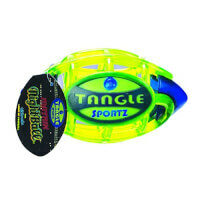 Kids and adults alike will love how the Nightball lights up the night sky with its colorful glow. Game on! Ready for some footbaaallllll? 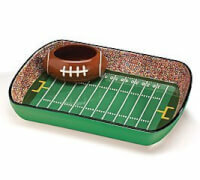 Burton & Burton's Ceramic Football Stadium Chip and Dip set is a neat way to serve snacks while watching NFL games. A touchdown for munchies! Play football from the comfort of your living room! 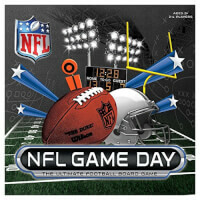 NFL Game Day is a fun, strategy-based board game that the whole family can play. Players draw cards and roll dice to move down the football field toward the team-branded end zones. 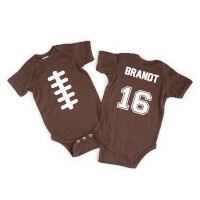 Score a touchdown with this gift.